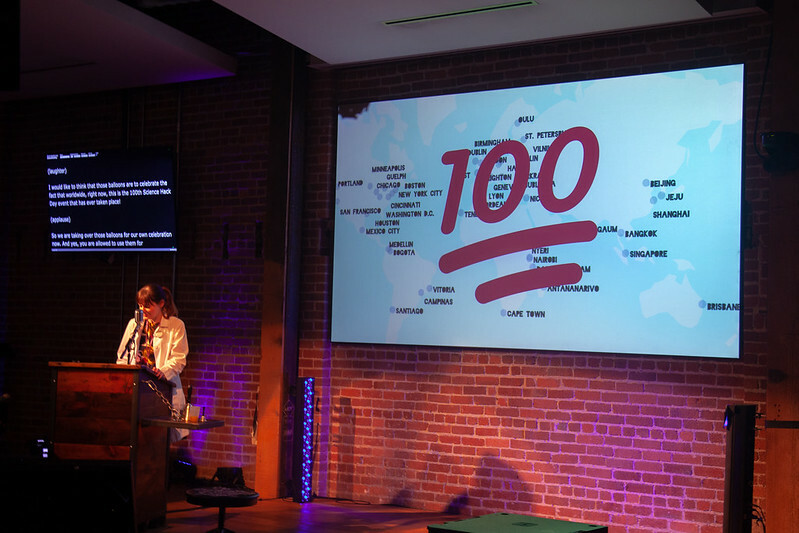 This year marked our 100th Science Hack Day event globally and 9th annual event in San Francisco ! We’re ecstatic with just how awesome, positive, and refreshing it was. 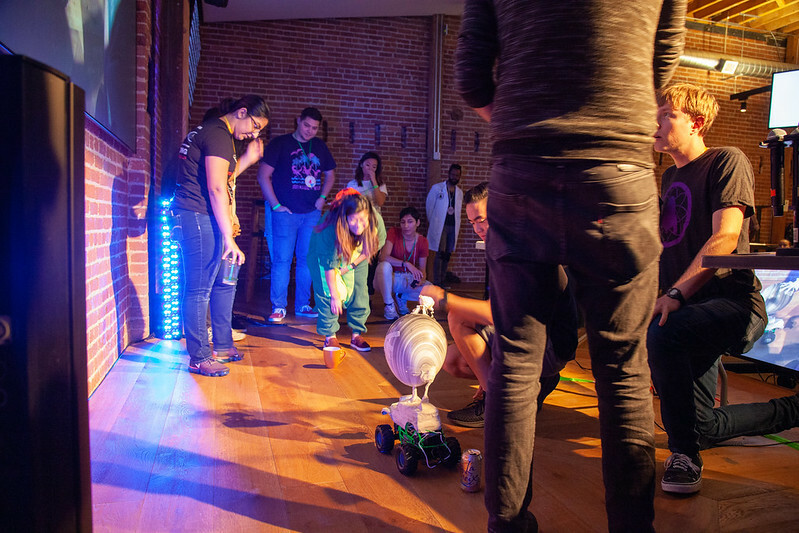 Every year that we can create an environment to introduce or remind people of the joy of experimenting with science is a huge win. We are so grateful to all of you for participating in making the world a more science-friendly space! 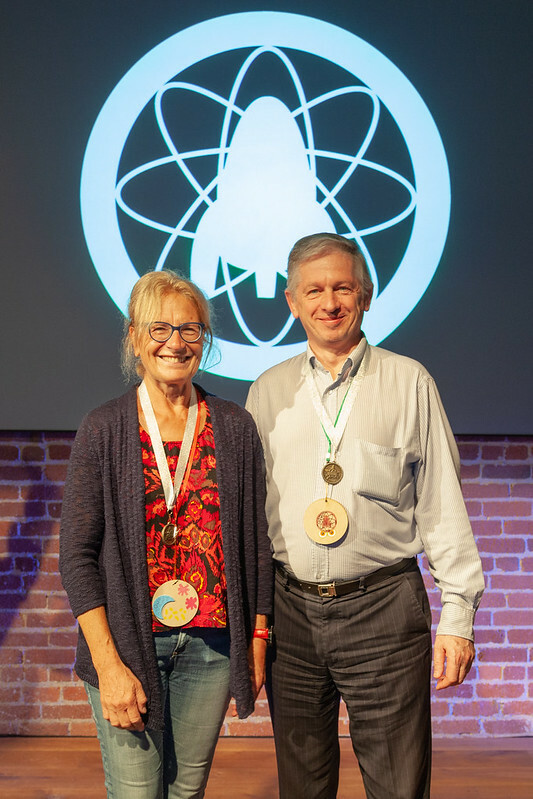 You can browse through all the hacks that were created over the weekend (the page also notes who received the coveted SCIENCE medals for each category!). 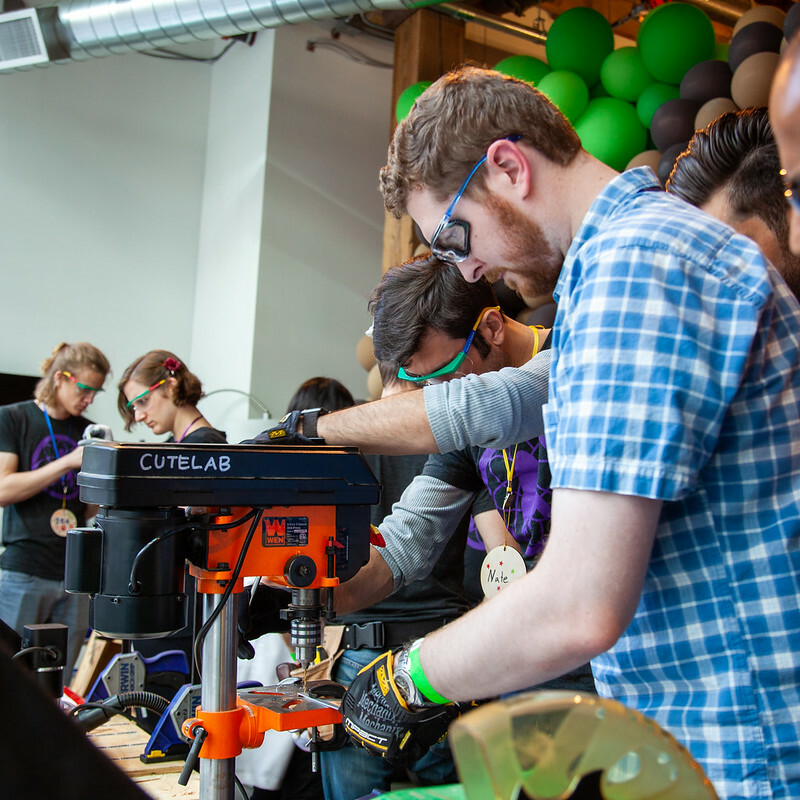 This was our fourth year being hosted in GitHub’s incredible space. Co-organizer Dawn Ho did an amazing job setting up a hardware corner full of tools like wire cutters, electric drills, wood saws, a 3D printer, and plenty of materials for physical hacking. 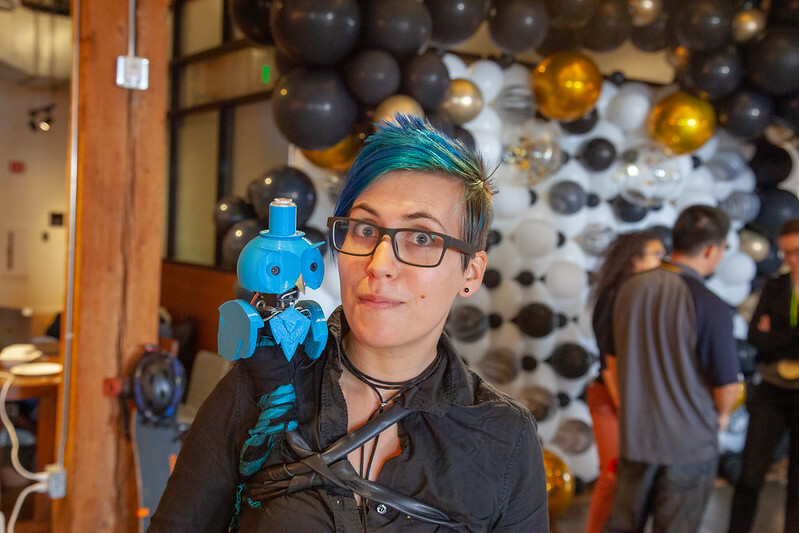 The majority of space was taken up by attendees spread out all over the venue – hacking on picnic tables, collaborating on couches, experimenting at desks, and chatting in inflatable chairs. This year we had a build-a-microscope science station with a microscopic photo competition. 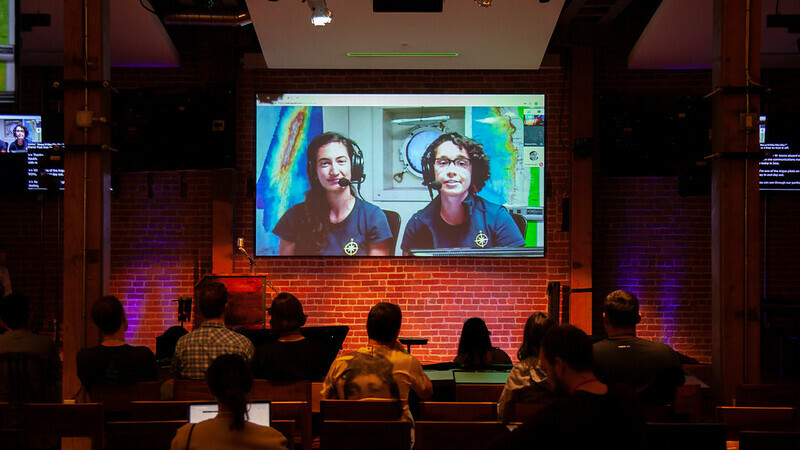 We also had a direct feed to a live ocean expedition that included a question and answer period with pilots and scientists onboard! Sunday morning we started the day off right with a screening of Hidden Figures and a delightful crepe bar setup for breakfast. Then everyone got back to full on hacking in anticipation of meeting the deadline for hack submission and presentations. Per usual, Matt Biddulph, our resident photographer and co-organizer, added a great set of photos on Flickr for your viewing pleasure, released under a Creative Commons license. 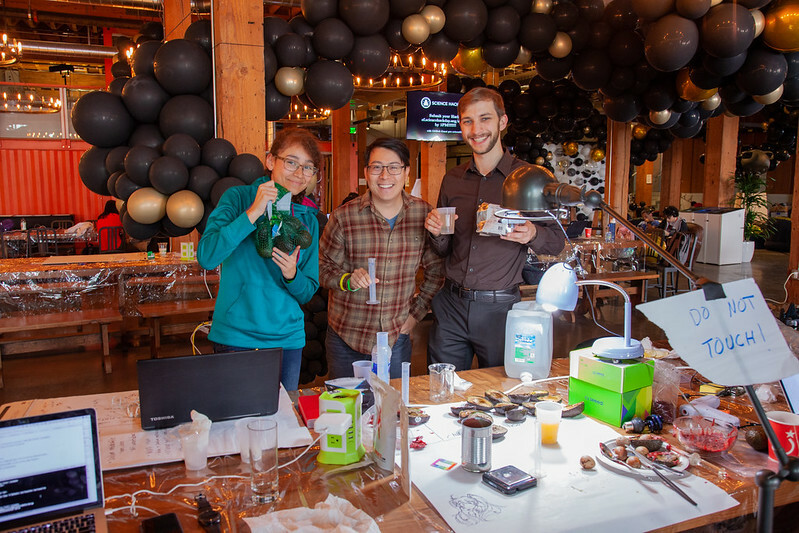 You can also search for #sciencehackday on Twitter or Instagram to find many more taken by some of the attendees. Scroll down to see just a small sampling of some of the photos that we love from Matt’s collection! Thank you to all our sponsors: GitHub, Samsung NEXT, Orion Labs, Catalyst Grant from Digital Science, and David Bonowitz S.E., as well as our in-kind partners. We absolutely would not be able to have events like this without their support. They help make awesome things happen in the world and you should take a minute to see what they’re up to. 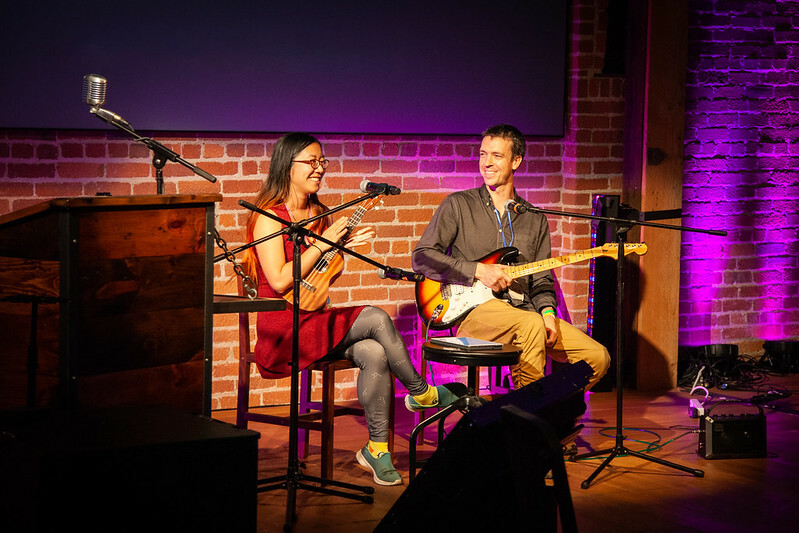 Hugs and many thanks to the Science Hack Day SF team: Dawn Ho, Jun Axup, Matt Biddulph, and Ramon Simms, along with epic help from Drew Woods and AJ Jimenez from GitHub. Creating this event is a huge team effort and many of us are balancing it while navigating startup life, full time jobs, or other large endeavors. Our team of on-the-day volunteers are truly wonderful friends of ours – giving up some of their personal time to help make the event run smoothly! 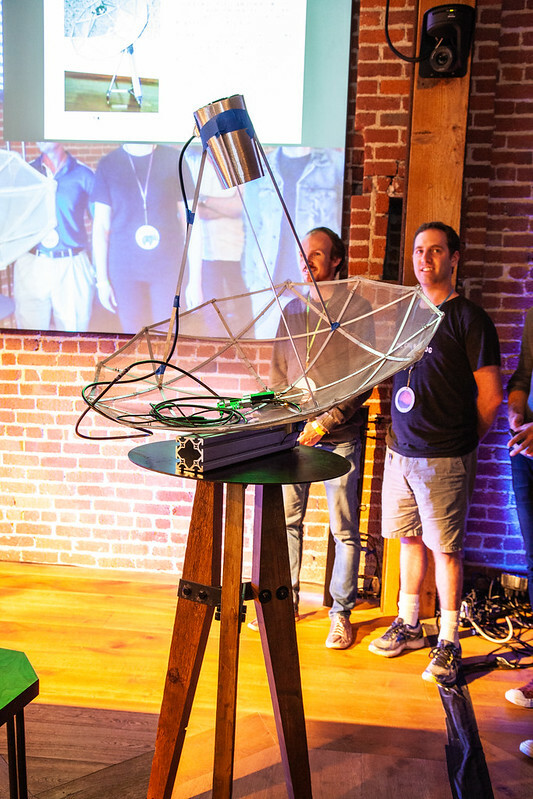 Thanks also to all who gave lightning talks, donated cool hardware, offered inspiration, or provided amazing activities for everyone to enjoy! And THANK YOU to everyone who attended for making Science Hack Day what it is – you rock my universe. I hope to see many of you again soon. Yay, science!